We received a large number of excellent design submissions from all over the world, and want to thank all of the contestants for their participation. Contest organizers carefully evaluated all submissions, and have selected the 1st, 2nd and 3rd place prize winners. Finalist selection criteria included technical innovation and excellence, novelty, adherence to the design flow, organizational strength, quality of documentation, and educational value. 3D Vibration Energy Harvester fabricated with a commercial MEMS process and using the electrostatic transduction. Congratulations to all the finalists again on your hard work! The winning teams from ESIEE Paris / Sorbonne Université (combined team) and KAUST discuss their prize-winning entries for the MEMS Design Contest. They discuss how they learned about the contest, and talk about their team, their design idea, the challenges that they faced, and lessons from the experience. In this video, Sally Ahmed of KAUST talks about her participation in the ongoing MEMS Design Contest. Sally explains how she became interested in the contest, describes her contest design, and discusses what she has learned through her participation in the contest. —show us your ideas and win exciting prizes! If you don’t know how to use those tools, don’t worry! We’ll provide several workshops to familiarize you with the design tools and technologies. 1. 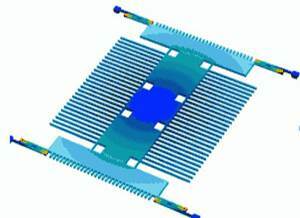 Design an innovative MEMS device, leveraging Cadence and Coventor design tools and a proven X-FAB MEMS Manufacturing Process (XMS10 or XMB10). 2. 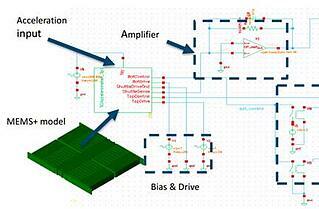 Design a mixed-signal MEMS driver and read-out logic ASIC using the Cadence Design platform and the X-FAB XH035 or XH018 high voltage CMOS process. • Potential contestants are notified regarding acceptance/rejection of their proposal. Modified proposals can be submitted until the proposal deadline, if a original proposal is not accepted. • Designs are reviewed by a jury selected by the sponsors. 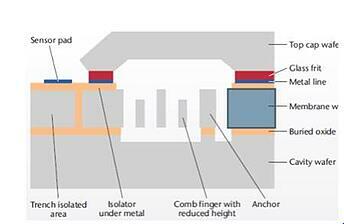 Teams may design both a MEMS and CMOS device, design a CMOS device only (using an available MEMS device template from X-FAB), or design and package a MEMS device only. All of these alternatives are acceptable contest submissions. Two design groups (one for MEMS, one for logic) can apply as a single contestant. Contestants should leverage the use of both the Coventor and Cadence PDKs, as well as the Coventor and Cadence design environments. Teams should create a proposal, implement a schematic, simulate the design, produce a design layout of the solution, co-simulate both designs to show their functionality, and present the simulation waveforms and the layout at the end of the project. Potential contestants should register on-line and provide a proposal of their project. Organizers will review the feasibility and scope of the team's proposal, and determine if the team's project can be successfully completed using the XFAB PDK and Coventor/Cadence design tools. Proposals will be reviewed by the organizers. 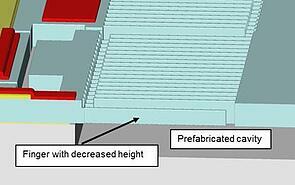 Design groups with acceptable proposals will receive a Non-Disclosure Agreement (NDA) from X-FAB. Once the NDA is signed, the contestants will obtain access to the XMB10 and XMS10 process design kit (PDK) documentation. The deadline for the Proposal Submission is December 31, 2016. 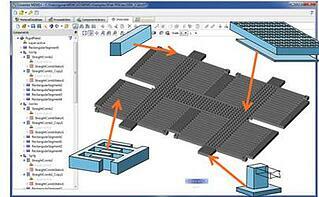 Design groups who pass the proposal stage will be invited to participate in the contest, and will be provided with access to the full XFAB PDKs and Coventor's MEMS design software at no charge for the duration of the contest. Contestants can obtain Cadence software through normal distribution channels, or contact Cadence directly if they do not currently have a Cadence software license. In order to familiarize design groups with MEMS/mixed-signal co-design, workshops and support will be provided to the contestants by the organizers. After the design phase, the jury will select the winning teams.